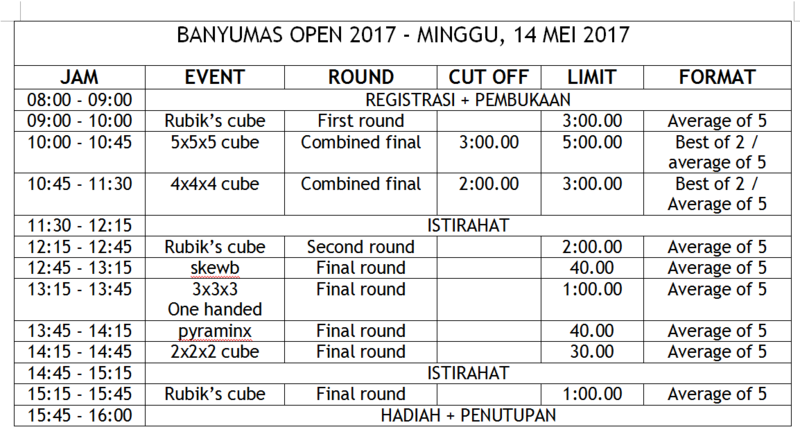 This is the first official Rubik's Cube competition on Banyumas region. The payment will be charged per event. All competitors will get a certificate of participation. 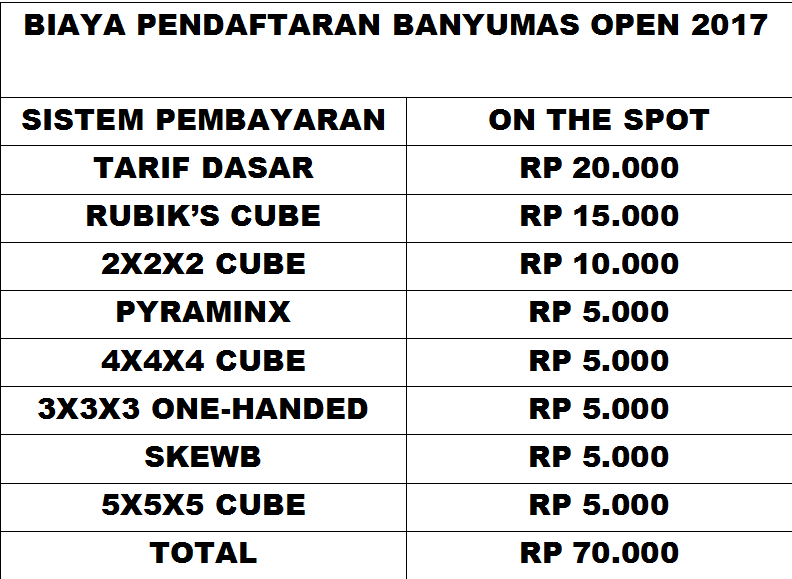 For more information please contact the organizers.